RSS Part 1 – What Is RSS? If you have been alive in the last 10 years & you actually have a life, you would of noticed this thing on websites called RSS. What the heck is it? Well I’ll explain in my two part series. Stands for Really Simple Syndication & is used to publish frequently updated works including blog entries, news headlines, audio, and video. For History of RSS see here. RSS solves a problem for people who regularly use the web. It allows you to easily stay informed by retrieving the latest content from the sites you are interested in. You save time by not needing to visit each site individually. 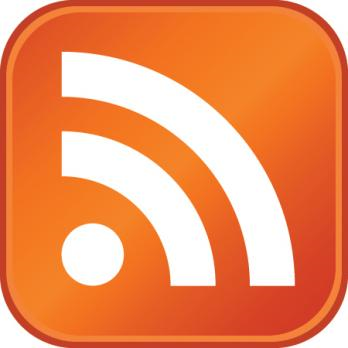 RSS Readers list all your favourite sites and highlight new posts and events so you can look into them further. Many sites now implement RSS, to keep readers informed and updated. When browsing, look for RSS icons like this one. When you click it, you are redirected to a .xml file which can be copied and added to your feed reader. Some browsers even have indicators when a site has a RSS feed available, read more about this in part 2. You read a blog, but don’t want to goto the site all the time to see if a new post has been added. RSS informs you when a new post is available. You like buying vintage surfboards on ebay. Set up a filter on ebay so that you only can see boards with vintage in the title and are located within 25km of where you live. Subscribe via RSS and have all the new boards listed right in front of your eyes and never miss a bargain. Your friends upload photos & videos to social sites such as Flickr & Youtube, subscribe via RSS and get notified when a new item is uploaded. Hey man, it’s a good post there bro, but its a bit short, and you linked to Wikipedia?? WTF? Haha, nah it’s good.. it had everything I would want in there and more, can’t wait for the next episode!